Learning has never been easier in the twenty-first century; we have information at our fingertips with search engines such as “Google.” Courses can be studied online and books, articles and media can be accessed from anywhere in the world within seconds. But what did students do before the popularity or invention of the internet? Further still what did they do before public libraries were common? 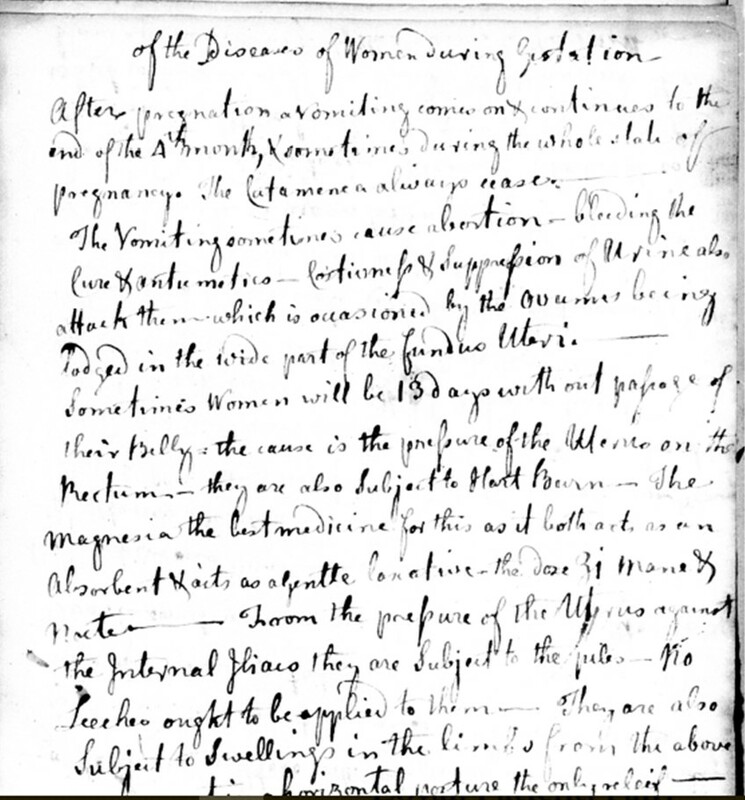 The medical notes of William Paine, one of New Brunswick’s first loyalist physicians, have survived and shed light on the process that a student of the eighteenth century would have had to go through to achieve their education. “Of the Diseases of Women during Gestation” is one of the surviving entries that provides intriguing clues into the scope of Paine’s education. Of particular note is the reference to the “…Ovumes being lodged in the wide part of the fundus uteri”. The peculiarity of this reference is not the use of the anatomical terms but rather the microscopic implications of the term “Ovumes” (Ova). Since the female “egg” is argued to not have been discovered until 1827, his use of the term appears almost as an anachronism. European biologists Maupertuis (1728) and Linnaeus (1760) were the promoters of this “theory”; however, it did not become mainstream until later in the nineteenth century. Even so, these early scientists based their theory of human reproduction on the sexual reproduction of plant-life. How then did an American medical student, an ocean away, obtain this knowledge and understanding of conception? Paine’s medical notes provide an exemplar of the dissemination of knowledge by an eighteenth-century British Atlantic World medical student. European courses and lectures of midwifery and obstetrics were published as printed material that was then used as either medical textbooks or for private use of physicians. Interestingly, one such text by Thomas Cooper echoes the specific topics of Paine’s document. In his text Cooper makes a strong argument against bleeding (blood-letting) women during their gestation, which is also something Paine wrote down in his medical notes. Since the use of blood-letting was a common cure for most illnesses, the argument against its use is not one that would have been mainstream at the time, suggesting that Paine obtained this knowledge somewhere else. From a purely visual analysis, Paine’s notes do not appear to be based on his own musings but rather a copy or summary of ideas from another source. Therefore, it is likely that his notes are a summary of a text, not necessarily specifically the text by Thomas Cooper but one similar to it. Further support of this is the likelihood of Dr. Edward Augustus Holyoke’s (Paine’s mentor) control over the material to which Paine was exposed. In the cases of other apprentices, such as John Hartshorn, another student of Holyoke, students endured months of studying current reading material on topics that the master deemed important. It is no stretch to say that Holyoke more than likely demanded the same of Paine. In a memoir written posthumously, members of the Essex Southern Medical Society (in Massachusetts) remarked that Holyoke was more well-read than his fellow physicians and he collected new medical books every year imported from Europe. Since the study of obstetrics was a brand new area of study, Holyoke’s pattern of keeping up-to-date with the latest medical publications suggests how Paine would have learned about the mechanics of the uterus and the theories of conception. This is evident within the style of the document. 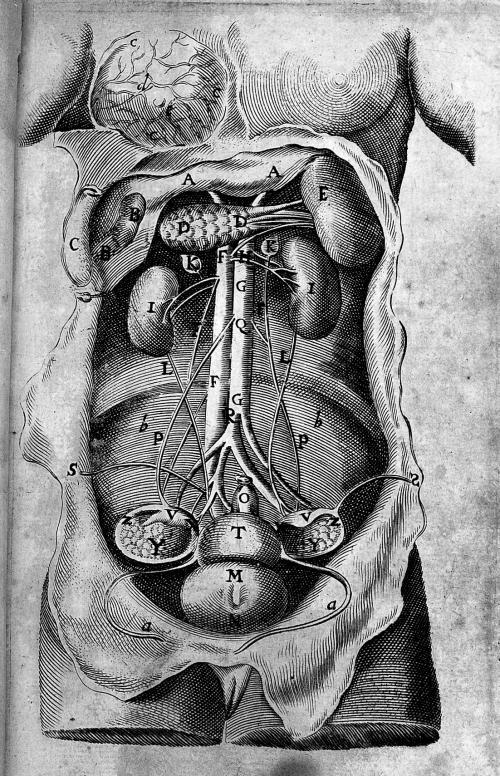 Material of medical lectures published in the eighteenth century often followed the format “Of the [topic]”. Other observations from Paine’s writing are his mechanical focus on the workings of the uterus evident in his repetitive use of terms such as “pressure”, and “suppression”. Therefore, this suggests that Paine’s medical notes could have also come from a private lecture he attended, another medium to which a medical apprentice would have been exposed. Geographically, Salem is close to Boston, Massachusetts which was a port of high economic and cultural exchange; as a result, Boston would have been a likely place to find the latest medical knowledge and lectures. Dr. William Shippen Jr. is accredited as the first physician to have lectured on the anatomy of the pelvis and pregnant uterus within the American colonies, and midwifery courses began to be offered to physicians in Boston. In 1768, the same year that Paine began his apprenticeship, the Boston medical community hosted a lecture on human anatomy using cadavers. What can be concluded is that the style of Paine’s notes and the topic are in similar to the medical lectures occurring in the closest cultural “hub” to him; as a result, it is theoretically possible that Paine could have attended a lecture in Boston during his apprenticeship. 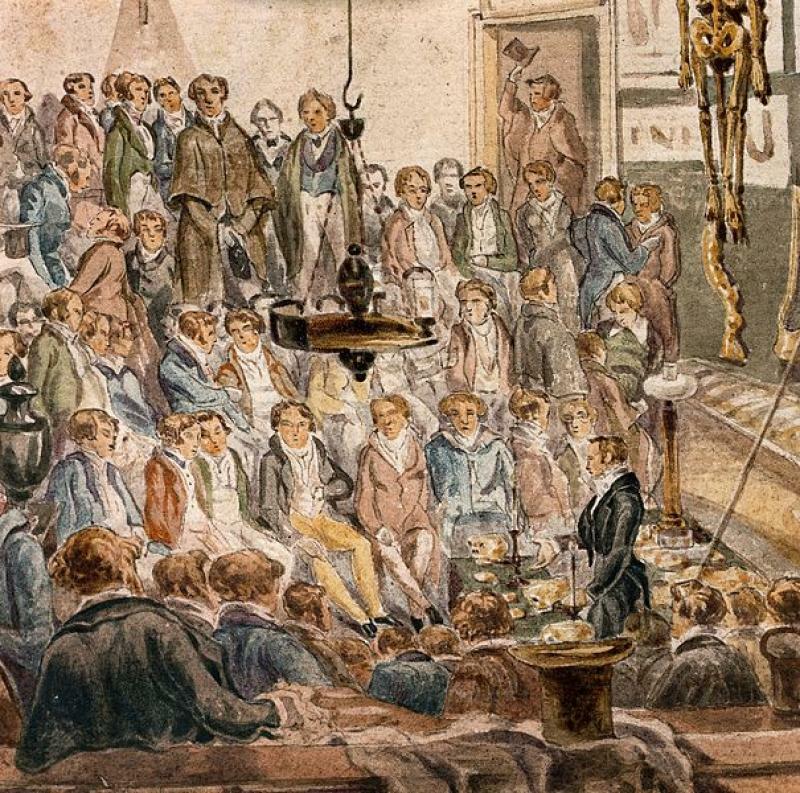 “A Lecture at the Hunterian Anatomy School, Great Windmill Street, London,” 1839. The theory of knowledge transfer discussed is a plausible explanation of how medical knowledge “travelled” from the old schools of Europe to the young colonies of the Atlantic World. There are some limitations to this theory. Firstly, the projected date of “Of the diseases of Women during Gestation” is 1770. This in particular does not match the dates found with the Boston medical lectures; however, it is also possible that the projected date of Paine’s notes are not accurate, considering that the note is not dated and the prospective date is “around 1770”. Therefore, it is still possible the lectures mentioned previously could have influenced the notes of Paine. Another limitation is the lack of sources or material that outline Paine’s apprenticeship curriculum. There is no definitive evidence that can determine where Paine’s knowledge originated. What can be concluded from Paine’s notes is that it provides an example of how, despite transportation barriers and communication limitations, knowledge was transferred efficiently from the medical fields of Europe to the young colonies of the Atlantic. Thomas Cooper, A Compendium of Midwifery, Under the Three General Heads of Theory, Practice, and Diseases; with an Appendix, Containing, a Short Essay on the Virtues and Operations of Uterine Medicines, and on the Powers of Opium and Musk, and a Formula of Prescriptions, or Pharmacopoe Obstetricaria, print, London: s.n., 1766, Eighteenth Century Collections Online. Christopher Hoolihan, “Thomas Young M.D. (1726?-1783) and Obstetrical Education at Edinburgh,” The Journal of the History of Medicine and Allied Sciences 40, (Summer 1985): 327-345. Jonathan Reinarz, “Transformation of Medical Education in Eighteenth-Century England: International Developments and the West Midlands,” History of Education 34, no. 4 (Summer 2008): 549-566. Catherine Thompson, “John Dension Hartshorn: A Colonial Apprentice in ‘Physick’ and Surgery (Boston),” Historical Journal of Massachusetts 38, no. 2 (Fall 2010): 77-101. Judith Walzer-Leavitt, “‘Science’ Enters the Birthing Room: Obstetrics in America Since the Eighteenth Century,” The Journal of American History 70, no. 2, (Fall 1983), 281-304. Cassandra Bullett is a fourth year Psychology student at the University of New Brunswick, Fredericton.